It was suggested to me that I start talking about the whites. With a few exceptions, my posts have revolved around the reds, and many of them of the full-bodied variety. As the temperatures increase, you better believe more of these are going to be discussed. I’ve stated before that I love lots of oak in reds. The opposite could not be more true with whites. It’s an important detail going forward. 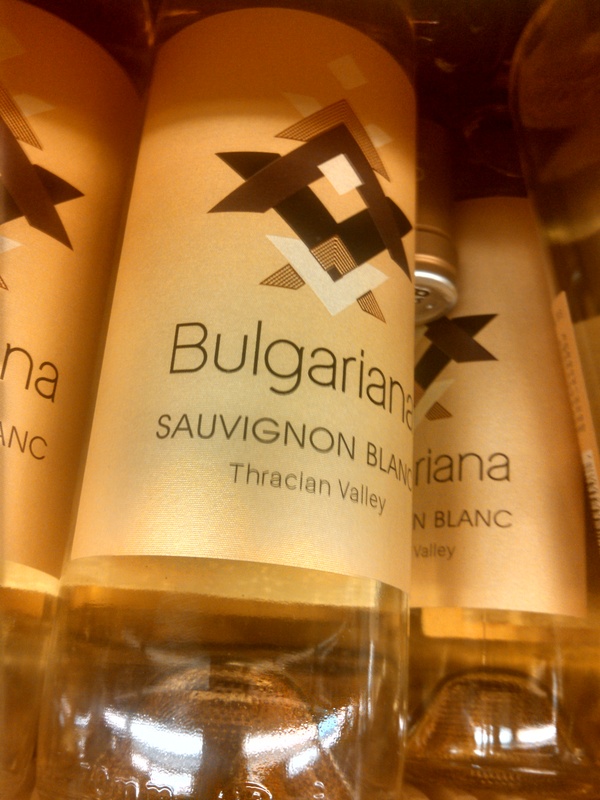 So it brings me great pleasure to be talking about the Sauvignon Blanc From Bulgariana Wines. And it’s a pleasure. I stopped into my local Total Wine in Towson, MD, knowing they had a massive selection of every grape imaginable, and was immediately helped by a very friendly staff member. I wish I had gotten her name. 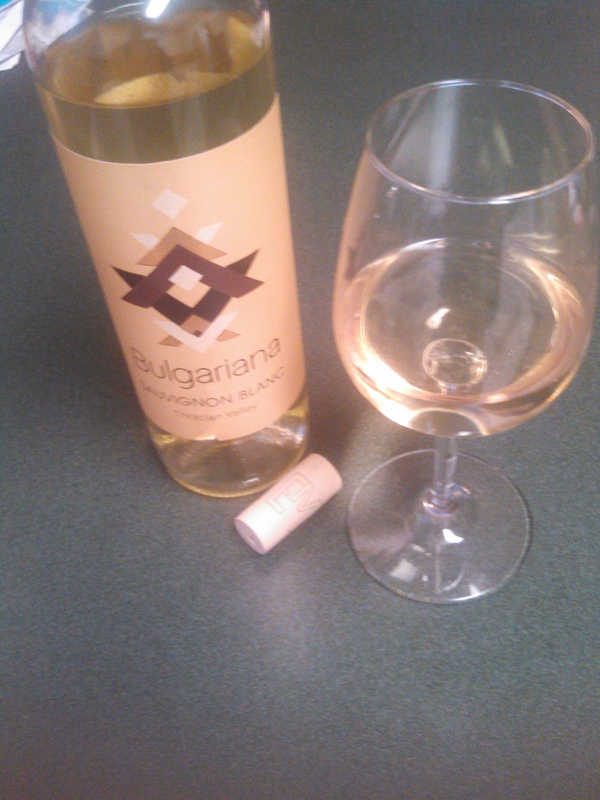 I mentioned I was looking for a white, specifically a Sauv Blanc, for a blog I was doing, and she gave me a few wonderful suggestions. I settled on the Bulgariana as it had the most appealing label, and even more exciting, in the synopsis there was a mention of pineapple! How awesome is that? I’ve never knowingly had the pleasure of sampling a wine that had pineapple or a similar exotic fruit in it. So I had to try. This is part of the fun. There will be so many unknowns in wine tasting, and that’s one of the best part of a wine tasters journey. I couldn’t wait to take this home and chill it in the fridge for a few hours. When I finally opened it, the exciting aromas just hit my heart. It’s just one of those indescribable feelings. It might be too good for words. But I’m going to try. It’s that moment right when the bottle is about to be uncorked, and you just know something amazing is about to happen. That’s a wonderful high. And this is one of those beautiful moments. I can’t tell you what every scent or flavor it, but it was heavenly. Oh my goodness. And even the back of the label mentions exotic fruits, but doesn’t say exactly which ones. Maybe I’m not meant to know. Or maybe I will know in time! The suggestions are to enjoy this with a salad, fish dishes, pizza, and pasta. Now the Sauvignon Blanc’s are always a welcome pairing with lighter fish entrees since most of the Blanc’s are light to medium themselves. Pretty simple! As you can see, I chose to savor this alone. But this is a wine that deserves a wonderful food pairing. It’s light enough to be drank with friends, but it’s worthy of a delicious meal to go with it. I have never seeked out whites and they’ve never been my first choice. But this bottle was something else. It’s a great way bottle to enjoy during the warm weather months. 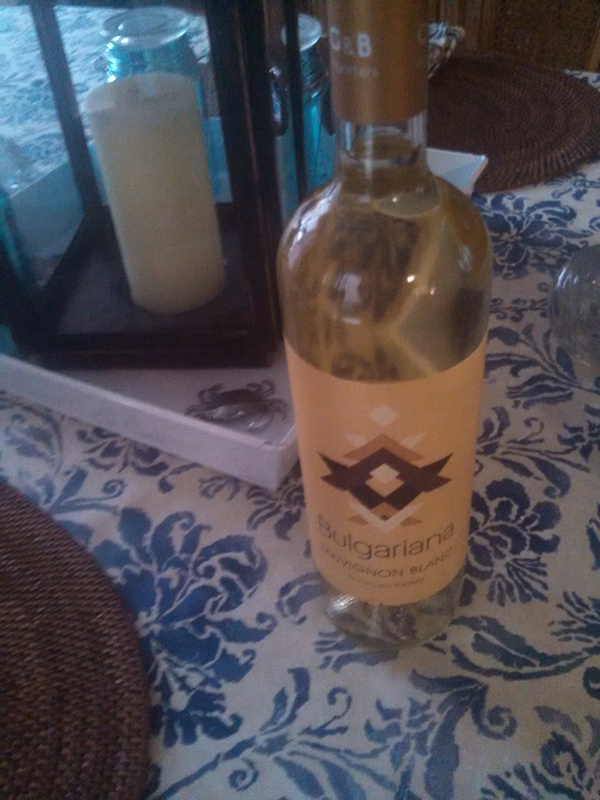 I also look forward to trying more of Bulgariana’s wines in the near future. In the meantime, this one will be celebrated in all her glory. And at only $10.99, I got more than my money’s worth. Thanks for the visit Ideen! We’re glad you enjoyed the Bulgariana. So funny. When I started reading, I thought you were talking about skin color, the whites and the reds, and it was wine.